Patients of Robert Lowe, DDS in Charlotte, NC will benefit greatly from knowing some of the most relevant cosmetic dentistry facts. After all, there is much more to cosmetic dentistry than esthetic improvements. In fact, there are emotional health and general health benefits to be gained, and as your preferred dentist in Charlotte, we want to provide them to you. As we help you develop your plans for cosmetic dentistry, we are going to build upon a foundation of optimal oral health. We will ensure that any restorative treatments are done before basic cosmetic treatments, and some treatments are one in the same. Take dental veneers, crowns and bonding. These are all treatments that can strengthen and protect a damaged, decayed or discolored tooth. The point is that your custom plan with our cosmetic dentistry specialist can incorporate multi-tasking treatments. If you have sensitive teeth, some cosmetic options reduce it. Bonding, veneers and crowns are great for this benefit and they can strengthen teeth too. By looking at the alignment, spacing and condition of your smile, cosmetic dentistry can make it easier to effectively brush, floss and care for teeth and gums over the long term. 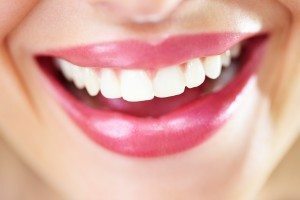 These are only some of the facts that show how beneficial cosmetic dentistry might be for you. If these facts have made you eager to learn more, feel free to give us a call at our Charlotte, NC dentist office at 704-450-3321. You can also use our online contact form and one of our staff will get back to you promptly.